Pilates is a series of coordinated exercises with an emphasis on breath, alignment, and controlled movements. By combining deep core strengthening exercises with proper movement patterns, Pilates creates strength while also improving flexibility and balance. Everyone! Pilates is suitable for all clients regardless of age, ability, or experience. Because Pilates is also a low impact and supportive form of exercise, it is an excellent tool for injury rehabilitation. Pilates has the power to be as gentle or as challenging as needed, depending on each individual client. Everyone from professional athletes to expectant mothers to the elderly can benefit from doing Pilates. Why should I choose Loudoun Pilates? At Loudoun Pilates, we are not just teachers; we are students of Pilates. We are continually striving to deepen our own education in order to provide the highest quality of Pilates instruction available. In addition to impeccable training, our teachers offer diverse backgrounds and an incredible depth of understanding about human movement. We go beyond simply ‘teaching exercises’ to teaching our clients how to understand their own bodies and movement patterns. Additionally, our small class sizes ensure that you will receive the attention and corrections your body needs! In addition to mat work, Pilates uses specialized equipment designed to both challenge and assist the client as needed. What is the difference between Classical Pilates and Contemporary Pilates? Classical Pilates includes all Pilates exercises that can be traced directly back to Joseph Pilates. Classical Pilates teachers teach based on the philosophies of Joseph Pilates and stay true to the exercises and order of exercises that he created. Contemporary Pilates evolved from the traditional Joseph Pilates exercises and includes different exercises, orders, and philosophies. 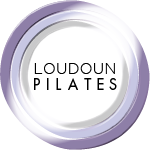 At Loudoun Pilates, all of our instructors are classically trained. Is one type of Pilates class better than another? Pilates is not intended for one piece of equipment; but rather a combination of the different equipment as well as mat work. In the original Pilates studio in New York City, Joseph Pilates had his students move around the studio and work on different exercises in different places depending on the individual needs of that particular student. All of the equipment and mat work create different challenges, and the benefits of Pilates are best achieved when clients experience both equipment and mat work. Exercise clothes that are comfortable and fitted, such as yoga clothes, are best. Loose, baggy clothing is not ideal because it is difficult for the teachers to address position and proper alignment. No shoes are worn in class; socks are optional. If you are doing a private lesson, your teacher will start by reviewing your specific needs and goals. Understanding what you are looking for will allow us to determine which type of equipment or mat work is best for you. Your teacher will guide you through a lesson while assessing your movement patterns, posture, strengths, and weaknesses. At the end of your lesson, your teacher will help you develop an ongoing Pilates plan that best suits your needs and goals. Do you require private lessons before starting classes? No. Although we strongly recommend taking a private lesson in order to assess your working level and help you develop an understanding of your body. We understand that private lessons are not for everyone, which is why we offer small group classes at a beginner level. While you won’t receive the undivided attention of the teacher, our small group classes ensure you will still be closely watched and given direction that is right for you. All of our classes are leveled out so that you will be safe and working among other students are your level. We have a 24-hour cancellation policy for all classes and private lessons. If notice is not given within 24 hours of your appointment, you will be charged for your session. All classes and private lessons are 50-55 mins in length. Because of the low-impact nature of Pilates and all the different types of equipment used, you can literally do Pilates every day! Ok, that might not be possible. We recommend doing Pilates at least 2x per week to maximize results. As with anything, the more you do it, the faster you will see a difference in your body. Yes! Back pain is usually the result of either a weak core or poor posture (or both!). Pilates is famously known as an excellent tool for developing a stronger core, which is the basis for good posture and alignment. Typically, there is no single cause of back pain and Pilates has an array of exercises and equipment to address your specific need. Some of the conditions we have worked with include: scoliosis, spinal fusions, vertebrae fractures, bulging discs and more. Does Pilate help with joint pain? Yes! Pilates is a low-impact form of exercise and therefore does not put a heavy load on the joints. We have the ability to adjust resistance and range of motion in the exercise to keep the joints functioning happily. Can Pilates improve my sport/activity? Absolutely! Anytime we strengthen the core and improve posture and alignment, the body will function at a higher level. The lengthening and stretching component to Pilates is a piece that is usually missing from other training programs. Working the muscles while they are being extended increases their functionality and flexibility.